I am traveling for work, and I happened to turn on the television to watch some garbage on TMZ. There was a breaking news alert, and suddenly all of the footage and news from the explosions began to air. As a former competitive distance runner and military veteran, I felt like someone had punched me in the gut. One, because that finish stretch of a grueling race is the happiest moment you feel throughout that event. You see the end in sight, and in your head you are celebrating the accomplishment, the miles of training, the joy of being an athlete. The finish line is such a symbolic place for athletes... to take that away from runners is the worst thing you could do. Two, I've been to Iraq twice. I know what big explosions sound like; I probably react differently from what the average citizen does to the sounds of cannons or gunfire. It makes me feel so angry to see attacks in the U.S., because I went overseas believing it would help protect our people back home. We were making sacrifices to prevent such terror. But there is evil out there, evil that believes hurting others is how things should go. This was evil. This was devastating. And I'm thinking about the people who were there, how scary that must have felt for them, knowing that feeling just won't go away anytime soon. The only bit of hope that I had watching the footage was recognizing a Team RWB member removing his shirt to help perform first aid, as well as the National Guard. Knowing there were veterans there who were able to step into the all-too-familiar fray and help out made me feel better, knowing their training would bring valuable assistance in such a difficult time. I can only hope that in the same situation, I would be of service again too. Americans become heroes in times like these. Reluctant heroes. But heroes nonetheless. So I will give no more time to talking about the explosion itself, highlighting what the bad guys did. 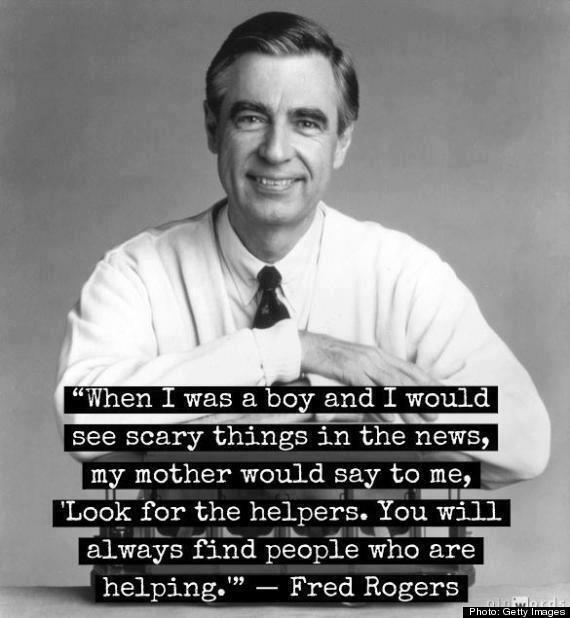 Instead I think only of the heroes, the people who helped prevent an even worse outcome in the chaos.